Applications to join our Governance of AI Fellowship this Summer have closed. To join the Fellowship during the Fall of 2019 or the Spring of 2020, do apply before May 31st. The Center for the Governance of AI is seeking exceptional researchers to join our interdisciplinary team for a limited period of three months. Participants in the Fellowship will have the opportunity to participate in cutting-edge research in a fast-growing field, while gaining expertise in parts of our Research Agenda. We are interested in candidates from a broad set of disciplines including International Relations, Public Policy, Political Science, History, Economics, Sociology, Law, Philosophy, Mathematics, and Computer Science. Technical expertise in or familiarity with machine learning is useful but not required. We expect most successful applicants to be postdocs or PhD students. However, we also very much welcome applications from professionals with relevant experience or particularly promising early-stage researchers (Masters and Bachelors). More senior researchers interested in collaborating can express their interest via recruitment@governance.ai. The next round of applications close on May 31st 11:59PM GMT. Artificial intelligence is poised to be a radically transformative technology. As such, it is likely to bring wide-ranging challenges to tackle and opportunities to seize. The field of AI Governance investigates how we can shape the development and deployment of artificial intelligence to serve the common good. There is a great need for research in this space. Governments are devising national AI strategies, leading AI labs are publishing white papers and agreeing on AI governance principles, while the AI industry as a whole is growing rapidly. Meanwhile, given the nascency of the field, there is a dearth of expertise. The Governance of AI Fellowship provides aspiring researchers with the opportunity to meet that need. The Center for the Governance of AI (GovAI), housed in the Future of Humanity Institute at the University of Oxford, is a leading hub for AI governance research, with particular strengths analyzing the geostrategic and long term transformative impacts of AI. With this aim, we have published research on e.g. expert and public views on the development of artificial intelligence, the potential malicious uses of artificial intelligence and China’s AI development, as well as a field-setting AI Governance Research Agenda. For more introductory content, you can listen to GovAI’s Director Allan Dafoe on the 80,000Hours podcast. You should apply if you have an interest in our research and are committed to working to shape transformative AI in a positive direction. Given the multidisciplinarity of our work, we are interested in candidates from a broad set of disciplines including International Relations, Public Policy, Political Science, History, Economics, Sociology, Law, Philosophy, Mathematics, and Computer Science. Technical expertise in or familiarity with machine learning is useful but not required. We are also interested in candidates with policy-making experience. We expect most successful applicants to be postdocs or PhD students. However, we also very much welcome applications from professionals with relevant experience or particularly promising early-stage researchers (Masters and Bachelors). More senior researchers interested in collaborating can express their interest via operations@governance.ai. In all candidates, we seek high general aptitude, self-direction, openness to feedback, and a firm belief in our mission. As we work closely with leading AI labs and the effective altruism community, familiarity and involvement with these communities is desirable but not required. We are also interested in candidates with policy-making experience. Relevant expertise: Expertise, be it skills or knowledge, that is likely to be useful to GovAI. We also consider the extent to which we think candidates will be able to develop relevant expertise. Quality of work: The ability to produce high-calibre work. Judgement: Good intuitions regarding what is important and tractable research. Team Fit: Fitting into the GovAI team culture, including openness to feedback, transparency, drive and a collaborative spirit. Career Fit: Commitment to using their career to work in the AI governance field. If you need a visa to work in the UK, please let us know in your application. GovAI is ambitious to grow in the coming months and years. We have millions of pounds in secured funding, and an expansive research and policy agenda. As such, one important feature of the Fellowship program is to identify opportunities for continued work or collaboration with GovAI, as a Research Affiliate or full-time Researcher. What can you contribute to our team? How does this role fit into your overall career plans? Max word count: 5,000. Excerpts allowed. What was the context in which the work was written (e.g. involvement of others, if it was a dissertation)? Roughly, how much time did you spend on the piece? What was your goal in writing the piece? After an initial round of screening applications, we will invite applicants to a conduct a 4 hour trial task where participants work on research questions related to our work. After the trial task, candidates will be invited for interviews. Most of these selection stages will be done in a short amount of time, to ensure that candidates get answers as soon as possible. Due to the high number of expected applications, we will not be able to provide feedback to candidates who do not make it through the first stage of applications. If you have any questions, feel free to reach out to recruitment@governance.ai. 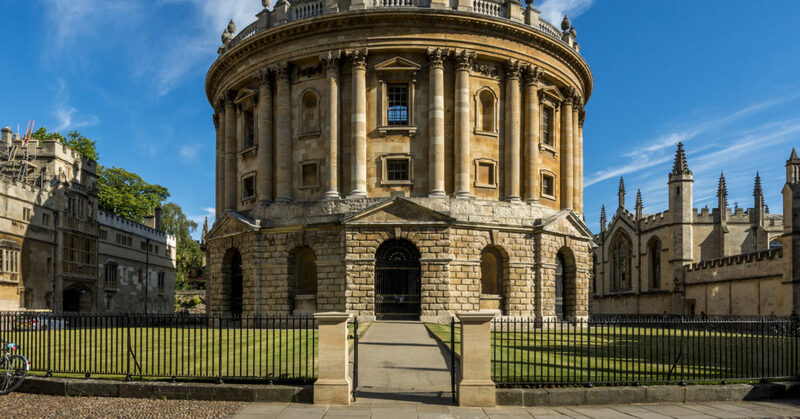 The Center for the Governance of AI, housed at the Future of Humanity Institute, University of Oxford, strives to help humanity capture the benefits and mitigate the risks of artificial intelligence. Our focus is on the political challenges arising from transformative AI: advanced AI systems whose long-term impacts may be as profound as the industrial revolution. The Center seeks to guide the development of AI for the common good by conducting research on important and neglected issues of AI governance, and advising decision makers on this research through policy engagement. The Center produces research which is foundational to the field of AI governance, for example mapping crucial considerations to direct the research agenda, or identifying distinctive features of the transition to transformative AI and corresponding policy considerations. Our research also addresses more immediate policy issues, such as malicious use and China’s AI strategy. Current focuses include international security, the history of technology development, and public opinion. In addition to research, the Center for the Governance of AI is active in international policy circles, and actively advises governments and industry leaders on AI strategy. The Center for the Governance of AI researchers have spoken at the NIPS (now NeurIPS) and AAAI/ACM conferences, and at events involving the German Federal Foreign Office, the European Commission, the European Parliament, the UK House of Lords, US Congress, and others. The Center’s papers and reports are available at https://www.governance.ai.